Project team member Andrew Hollinrake is running a special tour to the Ness Battery in Stromness, Orkney this Saturday (21 February 2015). All are welcome, entry is by donation. 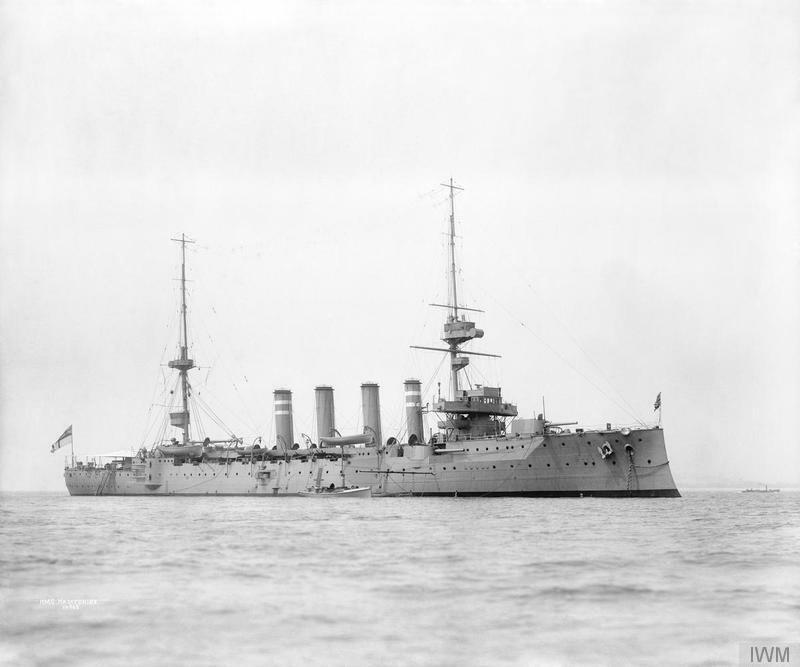 All money collected will go towards our Kitchener & HMS Hampshire Memorial project. 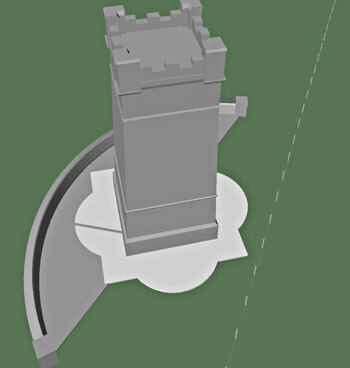 The walk, taking place on International Tourist Guide Day, will be along the Ness shore, exploring some of the wartime relics, then visiting Ness Battery, including its mess hall with the famous mural. 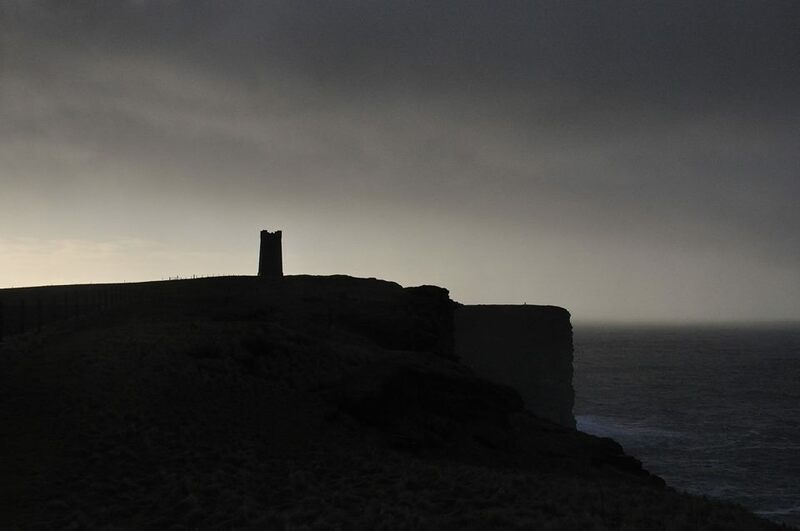 Ness Battery is an important relic of Orkney’s wartime heritage and once defended Scapa Flow against enemy attack. Saturday’s tour starts at 2.00pm, at the Point of Ness, and lasts approximately 90 minutes. Andrew says: “Please note there are no bathroom facilities along this route. It is also rather exposed, so please wrap up warm!” No booking is required. There is more about Ness Battery here – https://www.facebook.com/NessBattery. 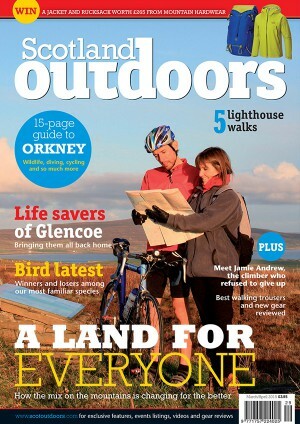 And more about International Tourist Guide Day here – http://www.wftga.org/tourist-guiding/february-21st-international-tourist-guide-day. 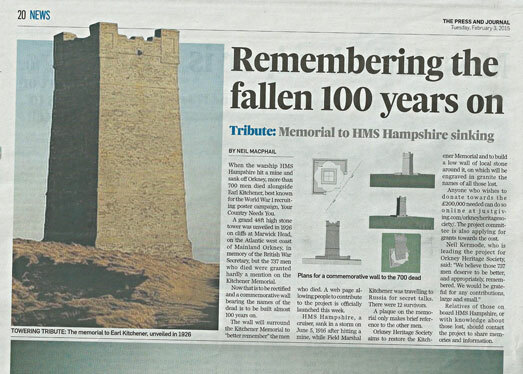 As well as donating on Saturday’s walk, you can also contribute to our Kitchener & HMS Hampshire Memorial project by going to https://www.justgiving.com/orkneyheritagesociety/. 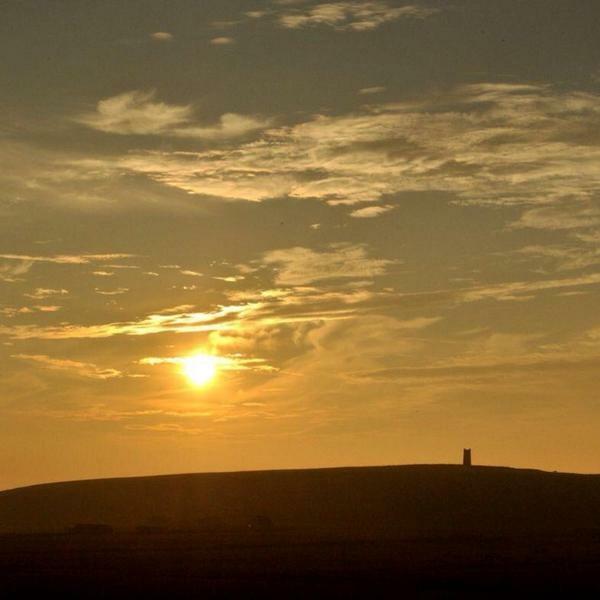 To remind you, we aim to restore the Kitchener Memorial, at Marwick Head on Orkney’s Atlantic coast, and build a commemorative wall engraved with the names of all 736 men lost when HMS Hampshire sank in June 1916. 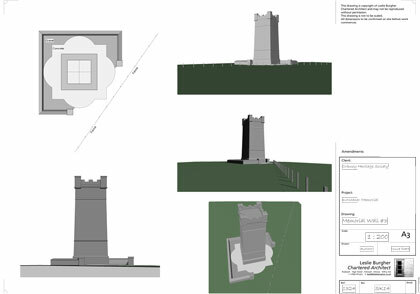 Meanwhile, two pieces of good news for our project since our last blog: Orkney Islands Council has given planning permission for the restoration work on Kitchener Tower. 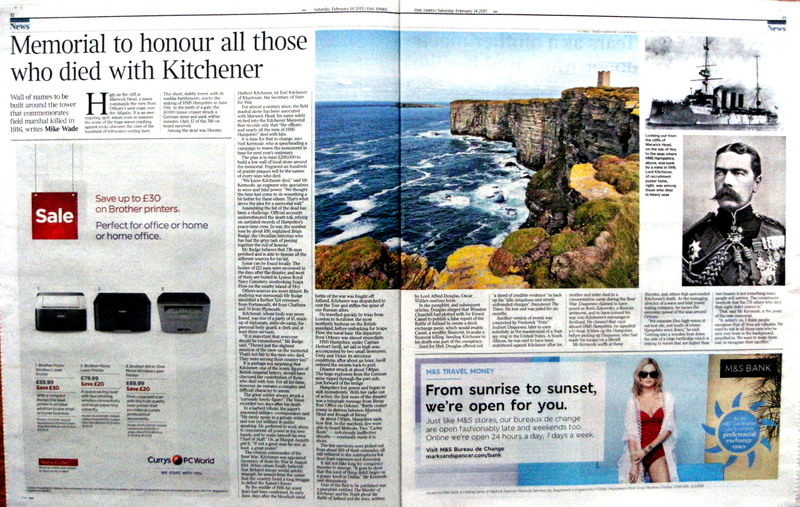 And on Saturday The Times published a double-page spread about the project. Once again, thank you for following our project, and for the generous donations we have already received.